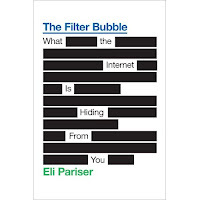 Following my previous post I thought it was on topic to mention a book I read recently called “The Filter Bubble”. The book, authored by Eli Pariser, discusses the several applications of personalization filters in the digital world. As several books I have read in the past couple of years, I found it via a TED talk where the author neatly summarizes the most important points. Even if you are not too interested in technology it is worth watching it. I am usually very optimistic about the impact of technology on our lives but Pariser raises some interesting potential negative consequences of personalization filters. The main premise of the book is that the digital world is increasingly being presented to us in a personalized way, a filter bubble. Examples include Facebook’s newsfeed and Google search among many others. Because we want to avoid the flood of digital information we willingly give commercially valuable personal information that can be used for filtering (and targeted advertisement). Conversely, the fact that so many people are giving out this information has created data mining opportunities in the most diverse markets. The book goes into many examples of how these datasets have been used by different companies such as dating services and the intelligence community. The author also provides an interesting outlook for how these tracking methods might even find us in the offline world a la Minority Report. If sifting through the flood of information to find the most interesting content is the positive side of personalization what might be the downside? 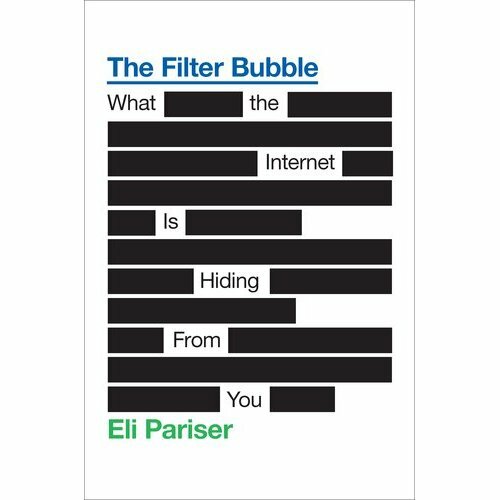 Eli Pariser tries to argue that this filter “bubble”, that we increasingly find ourselves in, isolates us from other points of view. Since we are typically unaware that our view is being filtered we might get a narrow sense of reality. This would tend to re-enforce our perception and personality. It is obvious that there are huge commercial interests in controlling our sense of reality so keeping these filters in check is going to be increasingly important. This narrowing of reality may also stifle our creativity since so often novel ideas are found at the intersection between different ways of thinking. So, directing our attention to what might be of interest can inadvertently isolate us and make us less creative. As much as I like content that resonates with my interest I get a lot of satisfaction from finding out new ideas and getting exposed to different ways of thinking. This is way I like the TED talks so much. There are few things better than a novel concept well explained - a spark that triggers a re-evaluation of your sense of the world. Even if these are ideas that I strongly disagree with, as it happens often with politics here in the USA, I want to know about them if a significant proportion of people might think this way. So, even if the current filter systems are not effective to the point of isolating us I think it is worth noting these trends and taking precautions. The author offers an immediate advice to those creating the filter bubble – let us see and tune your filters. One of the biggest issues he tries to bring up is that the filters are invisible. I know that Google personalizes my search but I have very little knowledge of how and why. The simple act of making these filters more visible should make us see the bubble. Also, if you are designing a filtering system, make it tunable. Sometimes I might want to get out of my comfort zone and see the world from a different lens.